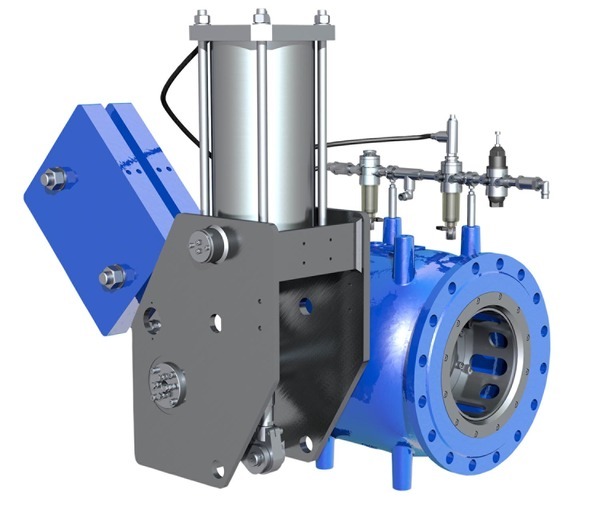 Own-medium controlled control valve with annular flow cross-section for the continuous regulation of high pressure differences and flow rates. Long service life as the bearings do not come into contact with the medium. Wear-resistant, corrosion- and infiltration-proof guide rails due to hard-facing. This ensures low operating forces and prevents jamming of the piston. Suitable for use in water treatment, water distribution, in dams, power plants, industry and in pressure management.